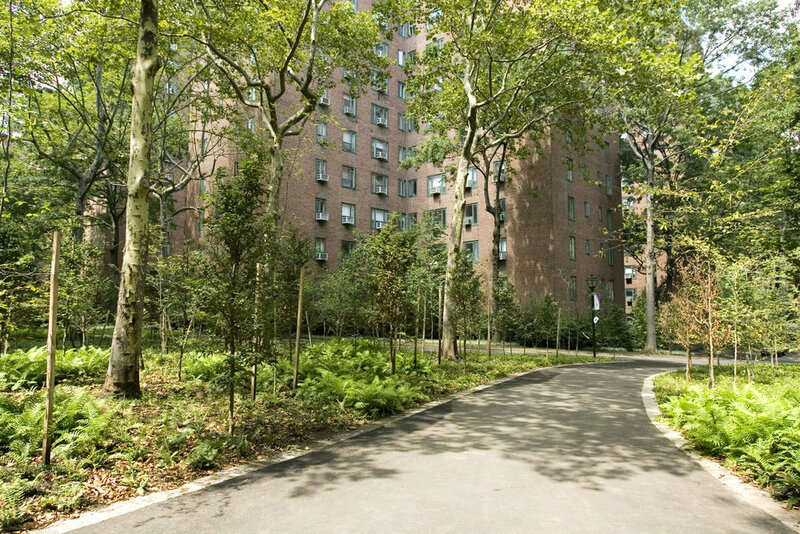 This much-loved neighborhood is a successful example of the mid-century redevelopment pattern know as “towers in the park.” On 80 acres in Manhattan, the street grid was erased in the 1940's and replaced with a picturesque park wending its way through a series of brick apartment towers. By 2007, very little of the park remained. A beautiful canopy of mature oaks and sycamores grew from a barren landscape of turf grass and bare soil. With little to modulate their size or soften their austerity, the brick towers loomed overhead. Working as project manager with PWP Landscape Architecture, Matt Donham oversaw the selection and planting of thousands of new trees, shrubs, and perennials in masses and sweeps large enough to address the scale of the buildings and restore texture and detail within the park. 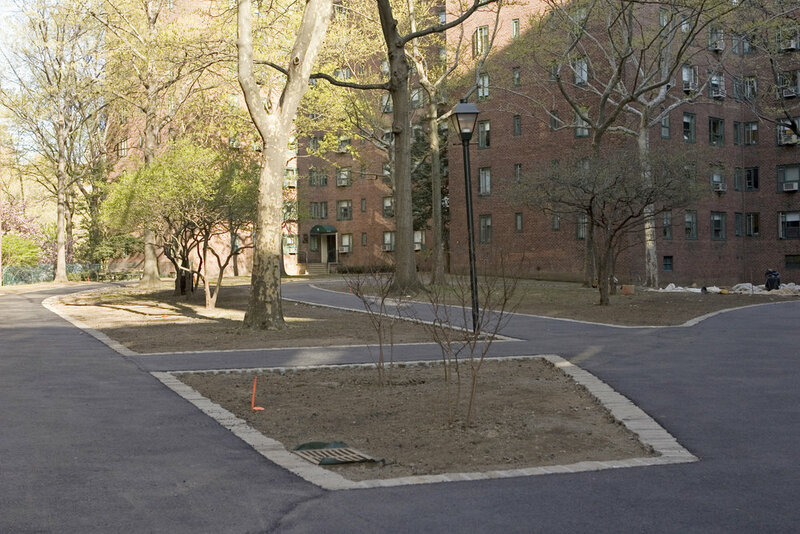 Four constructed woodlands--linden, beech, ginkgo, and locust--distinguish neighborhoods within the site. The planting replaces over 75% of the turf grass with a healthier, more beautiful, and less consumptive mix of plants. Work performed at PWP Landscape Architecture.